This unloader features a bolt on design with internal by-pass system. Adjustable pressure releases pressure in pump head when in by-pass, protecting from over pressurization. 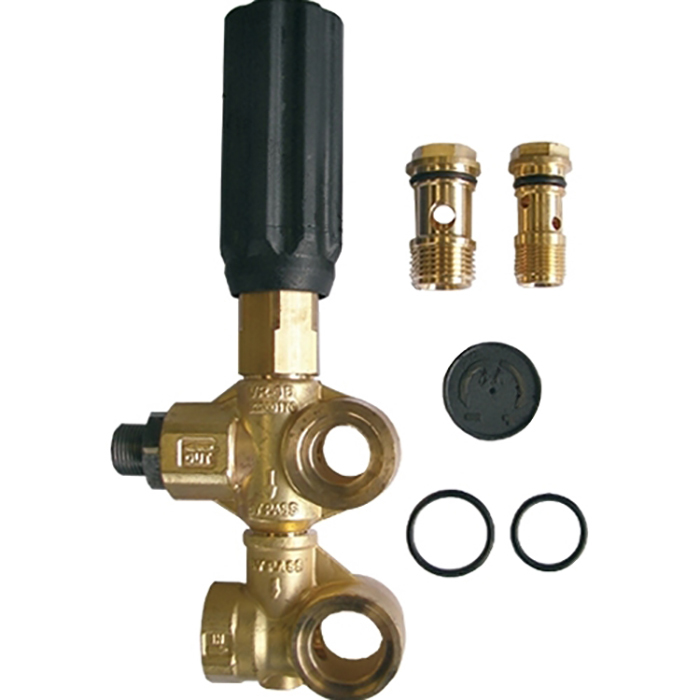 Eliminates by-pass hose and fittings and includes a fixed or adjustable built-in chemical injector. The molded plastic adjusting knob is designed for user comfort. Brass body with a stainless steel, plunger and spring, by-pass is aluminum or brass.